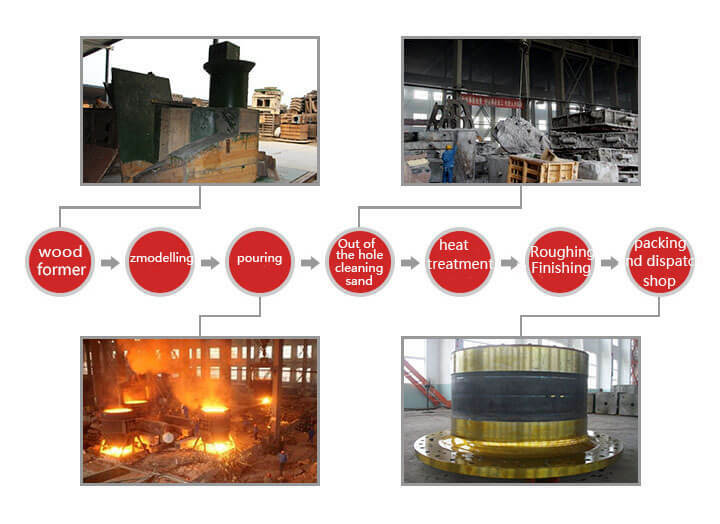 Our company used the special heat treatment technology to enhance the trunnion bearings hardness and impact strength. Our company produced the trunnion bearings castings with high strength steel raw material. Our professional engineers also optimized the trunnion bearings technological structure base on ball mill operation process in the early stage. So can not only guarantee the stability of the part in the long run but also prolong the part working life. Our company has rich production capability in steel castings. For the components such as the trunnion bearings, we can provide them in large production quantity with short cast period.